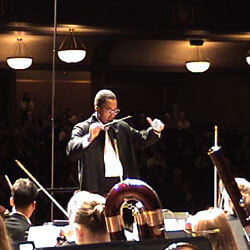 Anthony Elliott conducts the Michigan Youth Ensembles Orchestra at the University of Michigan Hill Auditorium. NOTE: You will need Windows Media Player to view these clips. Click here to download Windows Media Player for free.